We started doing these surveys last spring by asking everyone to share when they saw their first swarm. Many people seemed to be interested in that survey. 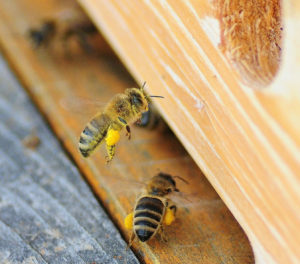 As we start the new year, I thought it would be interesting to do a similar survey focused on when we see the first pollen coming into our hives. I think it will be fun to see how it varies across the state. In order to make sure everyone has a chance to participate, I’ll let the survey run until early or mid-March then post the results in late March or April. As always, all survey responses are anonymous. You can either participate by taking the survey below or by going to this link: https://www.surveymonkey.com/r/XLXNFGV.